Quilting Adventures: Saturday Morning plans! Today I have decided that I *MUST* figure out how to work with my Bernina Designer Plus software. It has been sitting idle on my desktop for longer than I would like to admit. I originally bought this to facilitate quilt label making. I figured I would design and embroider a label for my quilts and it would certainly last longer than a Pigma pen one. Talk about fading! Well, I did spend two (2) hours one Sunday morning and gave up. I'm one of these individuals that likes to just get in there and play. Reading instructions are a last resort! But alas, it is something I will have to do. Not that it's a bad thing, imagine the possibilities once I've figured this baby out! What doesn't help the situation is that the manual is 600 and some odd pages. I had my husband print it as paper manuals seem to be going out the way side. You'd think with the price of the software ....... Oh well. PDF files are the way to go I guess. I'm old fashion and like paper. It's easier for me to mark pages for quick reference. 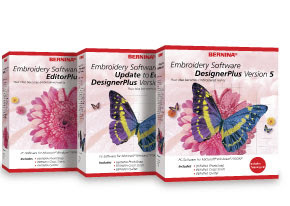 The Bernina dealer does offer mastery classes but they are far and few in between. I shall leave you to get my morning started. You know the old saying - when all else fails read the instructions - hehe! Maybe you'll send some labels my way????? 600+ pages is a lot of reading. Hope you find the time to read it and play with your Bernina. I'm the same way, I like to dig in and get started right away and then read parts of the manual if needed. That's why I haven't done a thing with EQ5, I don't seem to be able to learn it as easy as other computer programs I've done. Oh well. I am with you! 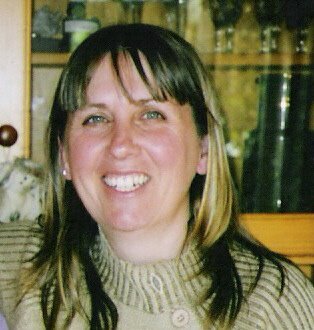 I have used my Bernie software twice for labels..each time lugging it into the shop and having someone help me! It's just something I don't do enough of and I find the manuals from Bernina very difficult to understand.